You can’t get two places much farther apart than Great Yarmouth, a small coastal town in Great Britain and Tauranga, one of the largest cities in New Zealand. When TVC received an enquiry for our ColcheK2 system from Tauranga City Council, we were a little surprised but wholly delighted! The Validation Centre (TVC) Ltd are pleased to announce the acquisition of ownership of the UFM/UPRS7 Underwater UV, LUX and Magnetometer from Searchwise Ltd of Ellon, Aberdeenshire, Scotland. Since the design of the original UFM unit in the 1980’s by Howard Chambers Ltd the equipment has become renowned throughout the diving industry. As of 1 August 2018 all manufacturing, sales, service, support and calibration of the Howard Chambers Ltd and Searchwise Ltd UFM/UPRS7 equipment will transfer to TVC’s facility located on Harfreys Industrial Estate in Great Yarmouth, Norfolk. This product will complement the range of ASAMS underwater MPI systems and accessories currently manufactured by TVC. For any further information please contact us! 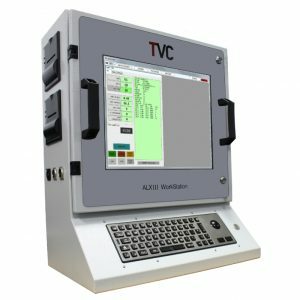 There’s no doubt TVC’s ALXII data logging systems capabilities produced high-quality monitoring and analysing facilities. It’s been the backbone of our business for many years but, as the industry changes so does our equipment in support of those new needs. It’s a cold and icy winter’s night. You’re heading to your friends for a Christmas meal and some festive cheer. 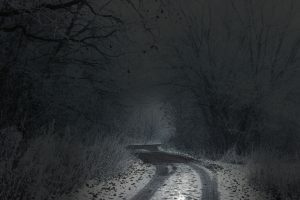 You’re picking your way thru the ice through the frozen roads, concentrating and taking it slowly. Suddenly, something darts out in front of the car, a small muntjac deer. The animal made it to safety but, you slightly swerved to miss it and your car no longer has traction. TVC are exhibiting at the famous and monumental trade fair, Schweissen & Schneiden takes place in Düsseldorf this year. With international exhibitors and visitors, and spanning the welding, joining and cutting industries, we are especially excited to be attending. 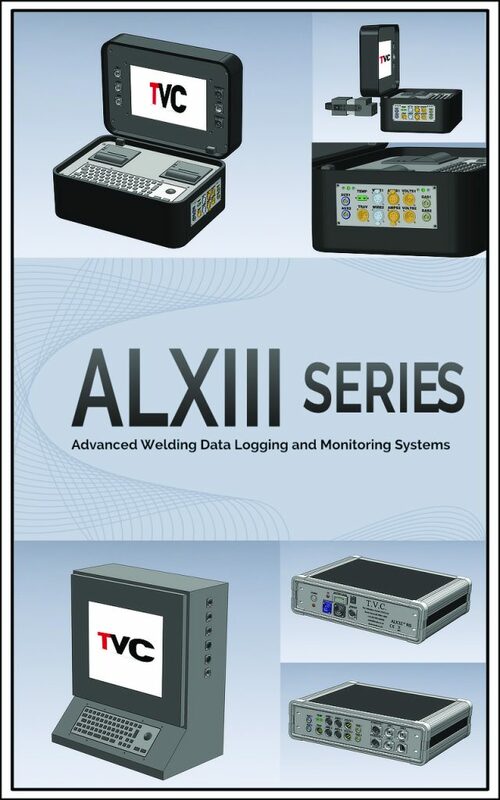 Furthermore, we will be taking the opportunity to launch the new ALXIII Series welding data logging systems at Schweissen & Schneiden in September. The ALXIII Series features parameter monitoring options not available on any other welding data logging system. Projects are unique and have different requirements, the ALXIII Series are customisable and therefore provide rugged adaptability for any eventuality. The range includes a portable unit (ALXIII Portable), a rack mounted system (ALXIIIRS), and a semi-permanent installation (ALXIII Workstation). This battery powered unit is versatile and, above all, mobile and user-friendly. Facilities for monitoring up to four independent welding power sources from a single unit* makes this a highly adaptable welding data logging system. The ALXIII Portable is ideal for monitoring twin bug and twin torch pipeline welding processes (for procedure or production monitoring). Furthermore, it monitors hot wire current, and welding current, independently on GTAW hot wire welding systems. Battery or mains powered, the ALXIII RS is exceptional as a portable or semi-permanent installation system. Each unit is networkable for a factory-wide welding data logging system; a great choice for high production areas**. Operated with a standalone monitor and keyboard, the ALXIII RS becomes truly portable, taking just minutes to set up. A single battery charge allows up to four hours of welding, however, using mains power extends monitoring time. Alternatively, designed for more permanent installation, the ALXIII Workstation is available as a single-, dual-, or quad-channel monitoring system. Following the success of its predecessor, the ALXIII Workstation is set to become the workhorse of the pipeline welding industry. Mains powered for 24/7 operation, the rugged unit is also wall-mountable. Including dedicated pipeline monitoring software as standard, the ALXIII Workstation allows the pre-programming of all welding parameters and consumables from the root to the cap. Catering for all welding set ups and projects, optional probes are available in several variants, both wired and wireless. In addition, TVC will be showcasing the CALSIS at Schweissen and Schneiden. The CALSIS is used to visually inspect and measure the internal root profiles of pipeline welds. It can be difficult, as well as slow and expensive, to inspect internal welds within small and/or long pipes. Furthermore, ‘bad’ welds can cost thousands in materials and labour if not detected before use. Currently, the CALSIS system is in use on landlines inspecting, and measuring, root profile in stainless steel and clad pipe welds. Versatile and comprehensive, the interchangeable scanning heads and wheel sets allows operation in pipes from as small as 110mm I.D. Adapted for varying pipe lengths and diameters, the unit is deployable as an independently-driven electric crawler unit. Furthermore, it can be utilised via reach rods, or attached to the pipeline internal line-up clamp. In addition, the unit features a 1-kilometre wireless transmission system and clear HD video. Coupled with root profile measurement down to 50 microns resolution consequently make the CALSIS ideal for inspecting land line closing welds. Finally, TVC will also be exhibiting specialised and field-proven gas equipment. Gases used in welding can not only be lethal, but incorrect mixes can cause issues with the integrity of the welds, causing rising costs. Our equipment ranges from monitoring purge gas conditions to gas flow, measuring a variety of gases and parameters. 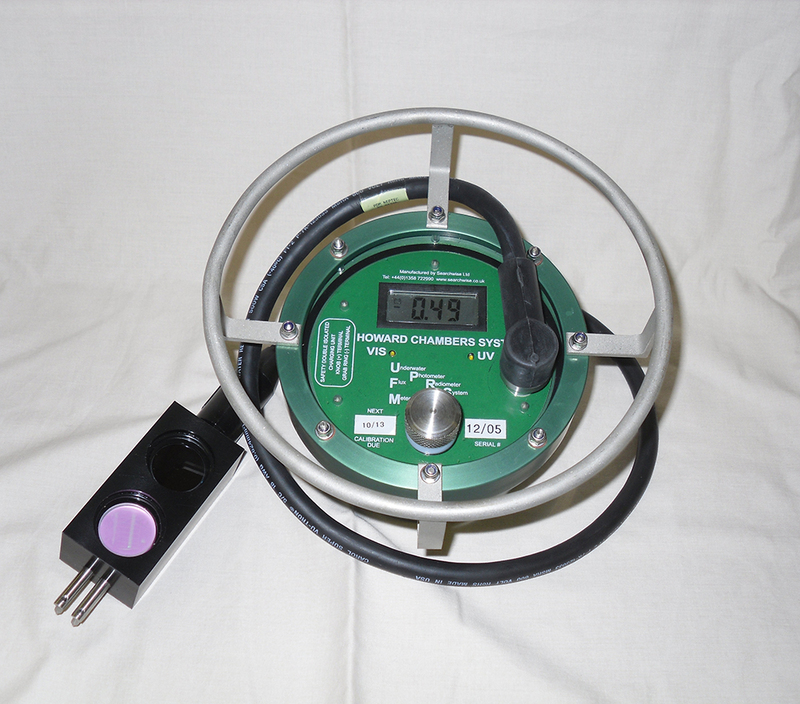 In addition, we will be featuring our Gas Quality Meter (GQM) System. Used for evaluating the composition of bottled or bulk gas mixes, the GPM gives detailed information of the composite mixture. To find out more about Schweissen & Schneiden International Trade Fair, or to book visitor tickets, click here. 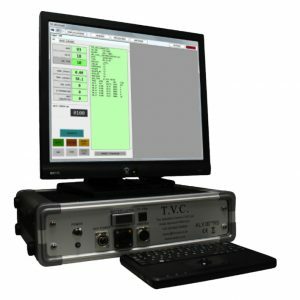 Since 2009, TVC has been developing and manufacturing bespoke Laser, Video and ECT inspection Systems to client requirements. So far, equipment has been tailored to provide inspection in key areas in pipe welding for the Pipe Manufacturing and Pipeline Welding industries. 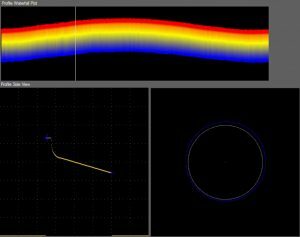 The systems can be comprised of Video, Eddy Current and Laser components to inspect pipe internals. TVC have been manufacturing the ColcheK system, under exclusive licence for several years but felt it needed further development for a new generation. 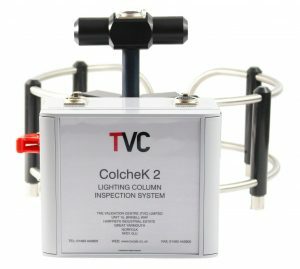 After several months of development work, TVC are proud to launch the all-new, digital ColcheK2 unit.